Tooth infection is mainly caused by complications of tooth decay. 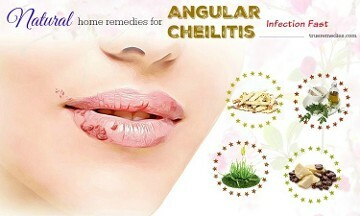 It is an oral disease which is quite dangerous if cannot be treated effectively. Studies indicated that the deaths from oral infections are increasing significantly. It is the result of not fully treated. Therefore, it is best to take good care of your teeth by brushing your teeth and flossing properly instead of waiting until your teeth become infected. 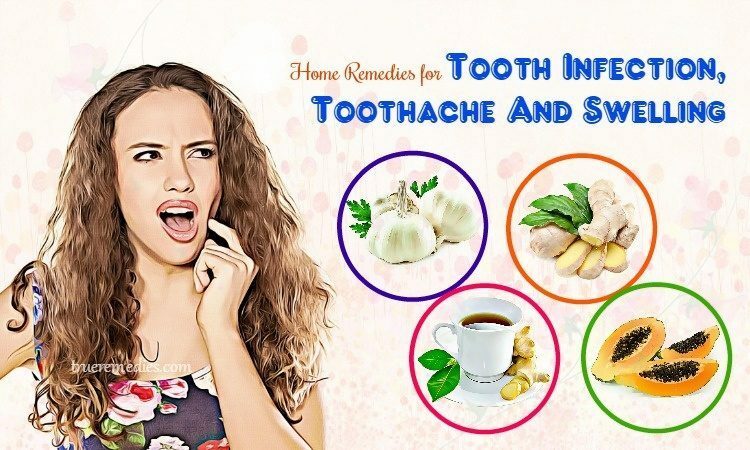 Here we provide you with 11 out of best natural home remedies for tooth infections, toothache and swelling. Let’s check out! Garlic is a popular spice that gains popularity thanks to its multitude of uses. The delicious and tasty dishes are indispensable for garlic. According to the University of Maryland Medical Center, a healthy adult can consume about 4 cloves of garlic a day, each clove is equivalent to 1gram. Whether you consume garlic in any form, such as flour, raw, cooked, or oil, they all provide surprising health benefits  . Garlic is both highly inflammatory and antiseptic. The composition of garlic contains a lot of antibiotics named allicin that help fight the virus and pathogenic bacteria. To minimize and remove the residual odor, remember to add a few drops of clove oil into warm water and use it rinse your mouth. Risk of poisoning: This is probably the most serious risk that can be encountered when eating garlic. When garlic is poisoning, in addition to leading to discomfort in the stomach, it can also lead to death. Accordingly, the risk of garlic poisoning often occurs when the garlic is soaked in oil at room temperature or stored for too long in the refrigerator. Side effects with prescription drugs: Garlic can interfere with certain prescription medications, especially with some anticoagulants used during surgery. 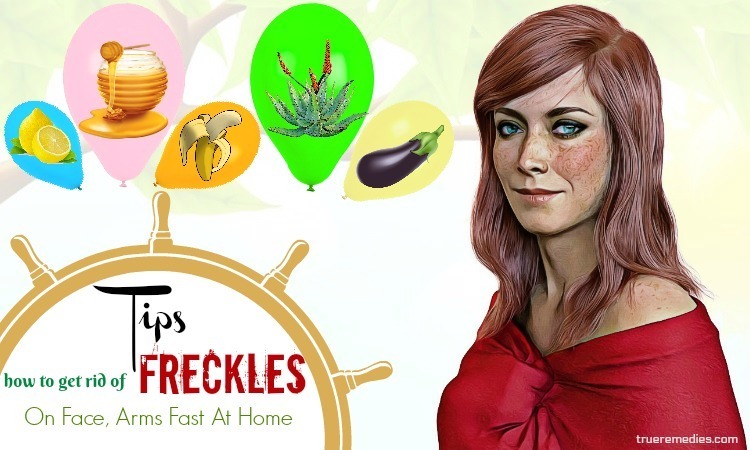 Causes allergy: Like most other foods, some people may have allergies or the body does not tolerate garlic. If a minor allergy happens, garlic causes heartburn, bloating etc. If more serious, it can be life threatening. When allergic garlic is suspected, you should consult food allergy specialist. Allicin in garlic can also irritate or even damage the digestive tract. Therefore, just eat with a mount of garlic in moderately, do not over eat raw garlic and if you suspect any irritation, consult your doctor. Ginger is said to be an indispensable cooking spice. It not only reduces the smell of food but also alleviates many potentially harmful ingredients in food. Ginger contains both nutritional and medical value, respectively acts as a drug and a raw material that helps foods become more delicious. Ginger is antibacterial, so it can heal infections and small wounds and relieve redness and swelling associated with tooth infection . Continue chewing for five minutes, then swallowing or splitting ginger powder into a tissue paper towel to remove. Apply this method one day at bedtime before going to bed is the best. Soak in hot water for at least 20 minutes. The thought that honey can cure tooth infection seems strange because the bacteria in plaque causing tooth decay needs sugar to survive and multiply. However, according to many researchers, honey can prevent the growth of plaque bacteria and reduce the amount of acid it produces. Thus, pure honey has been declared a food against tooth decay. This treatment not only helps the breath have no smells but also prevents gum disease, cavities. Place it outside the mouth for about 10 minutes. 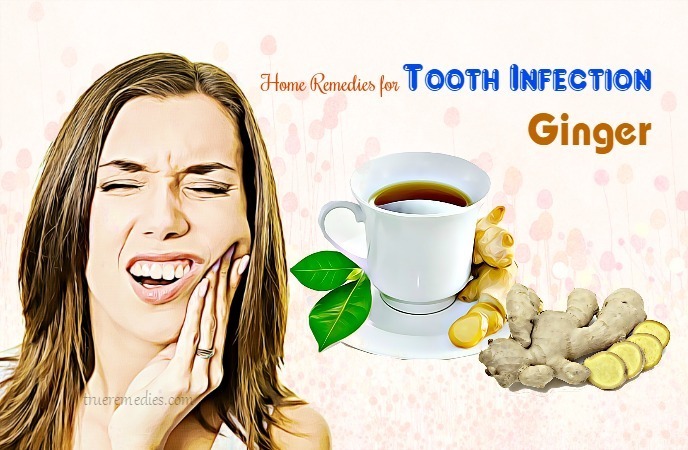 Place the tea bag on the infected tooth for few hours or overnight. Stir until homogenous mixture is obtained. Repeat the process for 3-4 times a day whenever the recurring pain happens, it will make you feel much better. Piper lolot is one of natural home remedies for tooth infection. This kind of vegetable contains essential oil named benzylacetate, which is highly antibacterial, reduces inflammation, and effectively alleviates toothache pain . Gargle several times a day, each time from 4-5 minutes. Turmeric is often referred to as an “herbal medicine” to help women become more beautiful or cure some diseases of the digestive tract, bones … Nevertheless, curing tooth infection with turmeric is not well known and regularly applied. Having analgesic effect and the ability to inhibit bacteria, turmeric can be applied to reduce tooth ache and tooth infection at home quickly. This method uses pure natural turmeric. Turmeric is very benign and does not bring any side effects. Science has shown that the main ingredient of turmeric is curcumin, which a high antimicrobial and antiseptic and can be comparable to many antibiotics. Curcumin is a widely used in medicines that can kill and prevent cavities. Peel off turmeric skin and wash clearly with water. Salt has many uses, one of which is the effective antiseptic inflammation, so you can treat abscessed teeth at home with a simple, easy-to-use salt solution. In addition to dismissing tooth decay, gargling with salt water daily will help keep the teeth healthy and clean, removing bacteria that exist on the tooth surface. Put this mixture into a cloth. Boost eating foods have reservoir of fiber, vitamins and calcium, especially vitamin C. Vitamin C plays a very important role in protecting the body from illness. People who are adequately supplied with vitamin C will have a healthier immune system than those without or lack vitamin C. Tooth infection is caused by bacteria. Hence, increasing vitamin C from vegetables, fruits and vegetables is indispensable for everyone. Bear in mind that you should limit your consumption of sweets, sugar such as lollipops, hard candy before going to bed and stay away from soft foods with high stickiness such as gum, raisins, dried fruit etc. 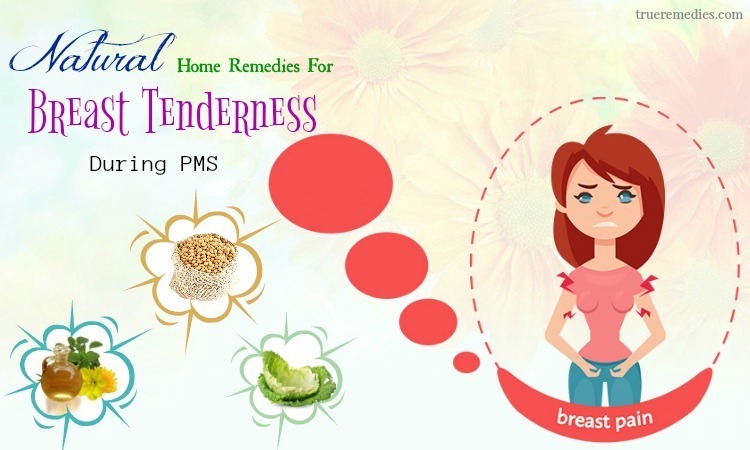 It is because such kind of foods may create a favorable environment for bacteria to grow strongly and actively, producing high levels of harmful acids. Everyone should pay attention to oral health regularly with the aim of detecting and treating decay in time. It will help to have an appropriate dental treatment to prevent tooth decay from occurring. It is necessary to visit a dentist every 6 months to detect and receive timely treatment for any dental problems. 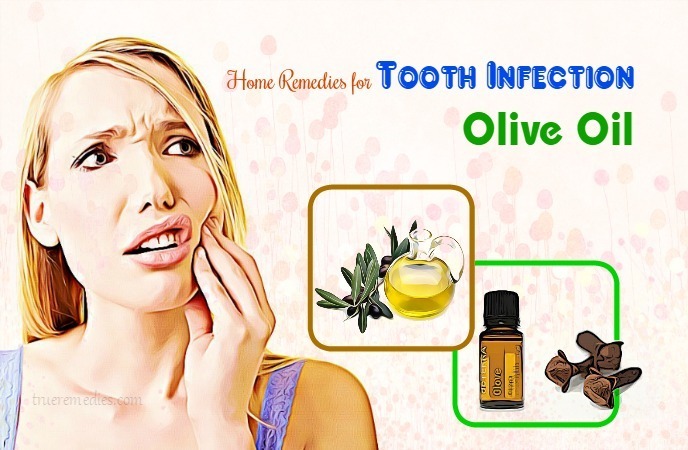 When it comes to home remedies for tooth infection, this is basic step you need to follow. 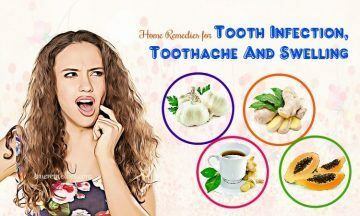 Thank you for taking your time reading above-mentioned home remedies for tooth infection. Among those methods, you can choose the most suitable way for yourself to experience how fully effective they are. In case you want to contribute any comments about our article, you can feel free to give us your point of view. We always try our best to reply your response as soon as possible. Thank you!